Hot deal!!! Right now you can get this LeapFrog LeapBand, Greenfor ONLY $19.99 (Retail $39.99)! -Experience the first activity tracker made for kids - LeapBand is fit made fun! -Preload LeapBand with 50 active challenges that get kids moving, like - ?Pounce like a lion!" -Parent controls on LeapFrog Connect make it easy to set play times, challenges and more. -Encourages active play, nurturing and healthy choices. Right now you can get this Disney's Frozen Elsa Character Pillow and Throw Set for just $9.96! *The Pillow alone was retailing around $20 before Christmas so this is a HOT deal! Shipping is free with your $50 purchase or choose in store pick up. Still looking for some great movies? Right now you can grab Dr. Seuss' The Lorax on DVD for $3.99. Check out all of the Under $5 Movie Deals for kids and adults HERE and the Under $10 Deals while you're there! If you have been thinking about signing up to be a Julep Maven now is a great time! The Julep Maven's Winter Escape Welcome Box available only for new subscribers. Not only does this limited edition welcome gift include three nail colors, it also includes a fan favorite beauty product bringing the value of the box to $58 – yours for only $12.49 and shipping is free. All you need to do is join Maven to get 50% off and FREE Shipping on your Winter Escape Welcome Box with code DEFROST or get your Welcome Box FREE when you pre-pay for your first three months and use the code DEFROSTFREE at checkout. Julep Maven is the only customizable box of full-size, limited-run nail colors and beauty innovations. That means no surprises, no dupes or colors you don't like. You can see what is in your box each month and have the option of swapping out colors/products you already have or don't want. Every month you'll get more than $40 of full-size products for just $24.99 per month (tip – prepay for three months at a time and save $15). Julep Mavens also get 20% off all single product purchases, free shipping, early access to secret sales. If you are passionate about your polish, that adds up to some amazing savings! Head over here to check out Julep Maven! NOTE: Keep in mind that by signing up for a Maven box, you are signing up to receive boxes on a monthly basis from Julep Maven (after this first month's box is sent for just $2.99 shipping, your monthly cost will be $24.99 for over $40 worth of products). You will be notified by email on the 20th of the month with a preview of the products they've customized for your next month's beauty editor Box. If you'd like to cancel the subscription, call the Julep Beauty Advisors at 877-651-3292; you must cancel by the 24th at 11:59pm (PST) to avoid being charged on the 27th. I love GroopDealz and you will too! Right now shop GroopDealz Year-End Blow Out Sale and save up to 90% Off! Use code YEAREND10 for an additional 10% off. GroopDealz has deals on accessories, clothing and home decor! Here is another hot deal to help you keep those New Year's Resolutions! Right now you can get the Zumba Fitness Exhilarate Body Shaping System DVD (Multi, Small) for $49.99! Head over to OfficeDepot &amp;amp; OfficeMax to get the Realspace Magellan Collection L-Shaped Desk(available in Espresso, Honey Maple, or Classic Cherry) on sale for $144.99 – regularly $259.99. Plus, use promo code 13324749 at checkout to save an extra 25% off- making the final cost for this desk just $108.74 plus free store pickup! Also, grab the Realspace Magellan Collection Hutch in Espresso, Honey Maple or Classic Cherry for just $54.99 (reg. $159.99) and use the promo code 13324749 to checkout to save an extra 25% off the hutch- making the final cost just $41.24 plus free store pickup! 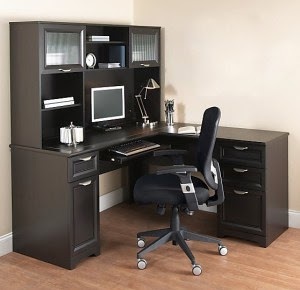 *If you want to purchase both the desk and the hutch, you will need to place two separate orders as the promo code will only apply to one item per order. I am loving these deals!! Head over to The Children's Place to take advantage of 25% off sitewide when you use coupon code NEWYEAR3 at checkout! Don't forget to check the clearance section where you can save up to 60%! There were several items in the girls section on clearance for $4.99 (accessories, socks, shirts) that will be just $3.49 after the extra savings! Here is another great clothing deal! Now through January 1st, Crazy 8 is offering Free Shipping on all orders – no promo code needed and no minimum purchase required! And, if you currently have a subscription to Disney's Family Fun Magazine and/or Parenting Magazine, look for 20% off Crazy 8 coupon codes inside to sweeten the sale prices further! Or go here to score an offer for a 20% off coupon code if you sign up for Crazy 8 emails! Great for cleaning up after the holidays! Today only grab this HAAN Swift Sanitizing Steam Mop SI-25 for just $66.50 (Retail $149). Wow! Today only get this set of 3 BPA Free Wide Mouth Water Bottles Shipped only $9.99 (Retail $29.97). Today only 12/31, save 31% off your New Years Eve Purchase at Old Navy with code: BUBBLY. Restrictions Apply. Valid online only. Since the Dollar General coupons are manufacturers coupons we aren't able to stack the savings. Get a bunch of gift cards you don't know what to do with? Wal-Mart has a new program that will allow you to trade your gift cards from other stores for Wal-Mart Gift Cards. With Walmart Card Cash you can trade any gift card from over 200 eligible stores, restaurants and airlines, in exchange for Wal-Mart gift cards up to the same value of the cards you are trading in. Once you've received the Walmart e-card it can be redeemed at Walmart.com, Samsclub.com, Walmart stores and Neighborhood Markets (print it out and hand it to the cashier), and Sam's Club (print it out and hand it to the cashier). Enter merchant name and card balance for a quick exchange offer. In seconds, see how much you can get in exchange for your gift card! Get up to 97% of the face value when exchanging for a Walmart eGift Card. Enter card number and pin and some basic customer information. Once your order is placed, your card balance will be verified behind the scenes to ensure the fastest and most secure process possible. Your eGift Card will be emailed to you in a printable format once your order has been approved. Approval time generally takes 1-2 hours but can take up to 24 hours. Designer Living - Up To 90% Off Comforter Sets, Sheets & More! WOW! It's time to update the bedrooms! Check out these ROCK BOTTOM PRICES at Designer Living during a Clearance Event Up To 90% Off that ends December 31st. Most of these are King or Queen and Machine Washable. I've ordered several sets from Designer Living and the quality and prices - Amazing! 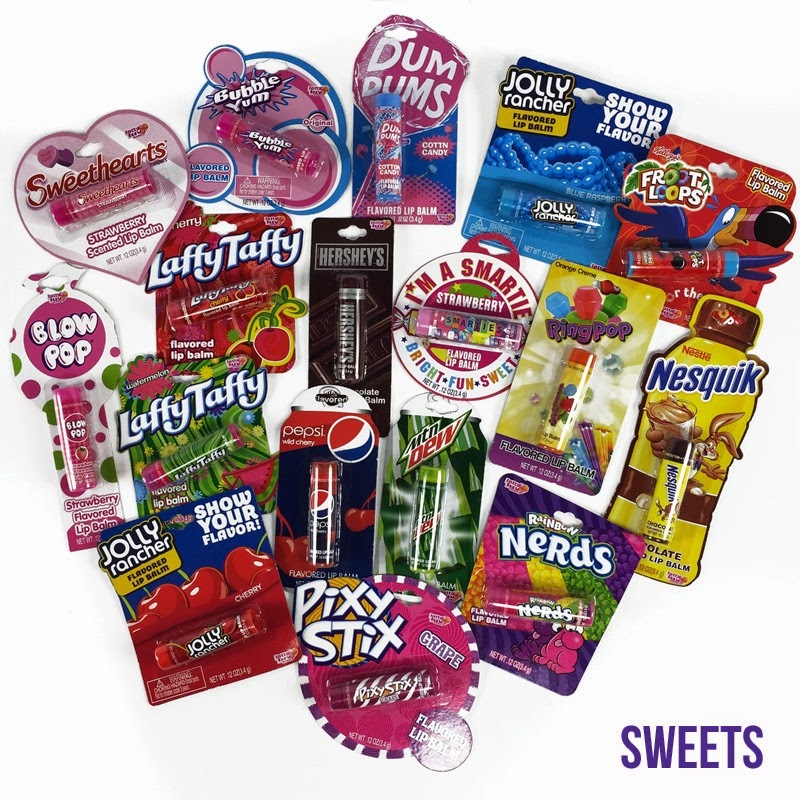 Head over and browse around for your favorites before they disappear. Here's a great deal on Huggies Diapers this week at CVS - hurry over and download the new Snap by Groupon App - to get your $3 off Huggies rebate (coupon almost gone). Right now Staples is offering this beautiful 7.5 Foot Pre-Lit Aspen Fir Tree with Color Choice Lights for $99.99 Shipped (Retail $279.99)! This GE Color Choice® christmas tree features the latest in GE technology. Multifunction LED lights allow you to change the lights from steady warm white to steady multicolor, or alternate between warm white and multicolor. GE LEDs can save you up to 80% on energy costs and last up to 20,000 hours. Plus get 5% back for rewards members. 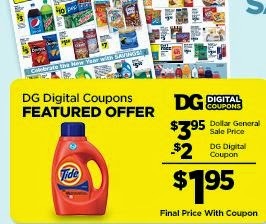 New Coupons - Loose Bananas, Crest, Advil & More! Today ONLY - these Classic Character Fleece Hoodies you'll child will love for ONLY $27.99 (Retail $45.99). 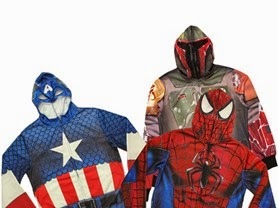 Now your kid can dress up like their favorite character without looking totally weird, because it's not Halloween season.